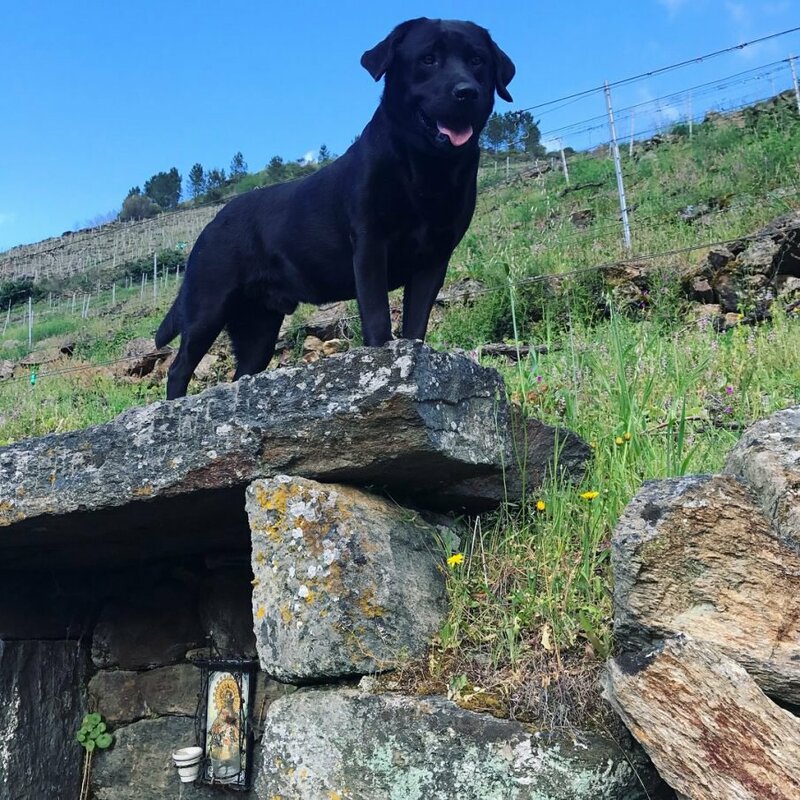 Jesus dog standing guard in the Cortezada vineyard, underneath is a small shrine that adorns a natural spring in the vineyard. ‘Fedellos’ is a Galician term, it means brats or young troublemakers and it seems apt for the three young friends behind the project, who in a few short years have leapt to the very top of the Galician wine world. The Fedellos in question are winemakers Jesus Olivares and Curro Barreno, who spent their formative years in the Sierra de Gredos with Comando G and Daniel Landi, before helping to establish themselves in Galicia with their work as consultants to Ronsel do Sil. They are joined by astro-physicist Luis Taboada, whose family has owned the Pazo, or estate that houses the project for several generations. 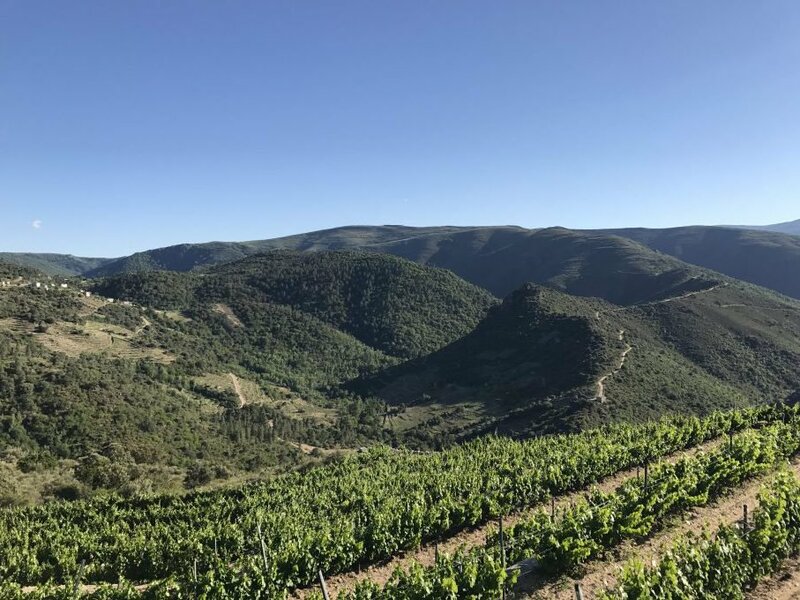 The project is based in the wild, cool and remote south eastern corner of Ribeira Sacra, between the official subregions of Ribeiras do Sil and Quiroga-Bibei. 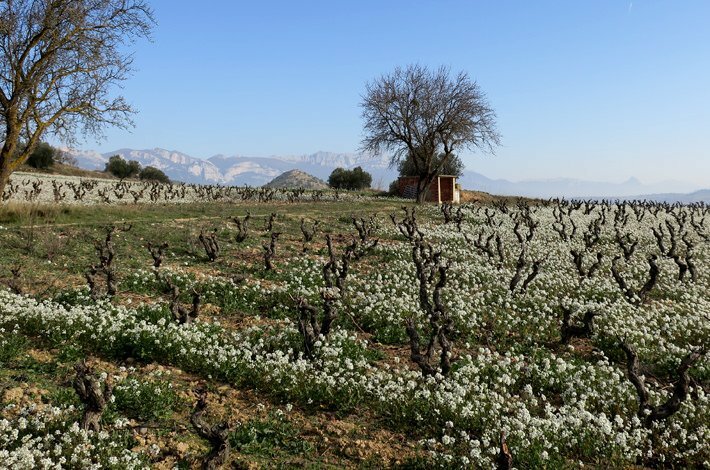 The vineyards here tend to avoid the full sun that strikes the more esteemed terraces on the golden mile of Amandi on the Northern bank of the Sil, resulting in lighter, higher acid and lower alcohol wines. In their short time in the project they’ve already mapped the soil type and topography of the region and proceeded to collect plots that are dotted across the four distinct soil types of the area, with vines planted on the classic Ribeira Lousas or slate, as well as the more unusual amphibolite, alkaline granitic sand and banded Gneiss. Evidence that while they may consider themselves brats, there’s an intelligent and methodical approach behind the work they do. In the winery the Fedellos follow a minimal interventionist path. Fermentations rely on indigenous yeasts only and they prefer to encourage reduction with full lees contact during elevage as a natural method of raising the wine without losing vibrancy to oxidisation. After over a year in inert older oak barrels the wines are racked, then bottled without fining or filtration. Ribeira Sacra is one of the most visually impressive wine regions, not only in Spain but in the world. It’s a network of canyons that have been carved by the rivers Sil and Bibei, and their myriad tributaries. Many of the vineyards here are terraced on the stone-coated and incredibly steep slopes that run for hundreds of metres downward before meeting the river. It’s as dramatic as anything found in Mosel, Madeira or the Northern Rhone. Of the five sub-regions in Ribeira Sacra, Amandi has found the most fame with a so-called Golden Mile of roughly south-facing slopes of very pure slate forming the riverbank. Envinate, Guimaro, Algueira and Raúl Pérez all have prime spots along this bank. 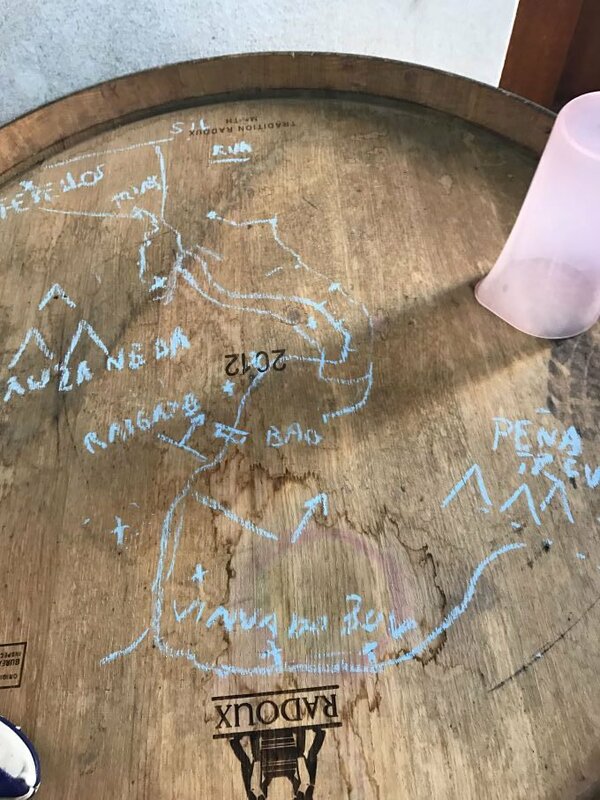 There are wonderful things to be found elsewhere too, like Ribeiras do Sil south of Amandi, where cooler, less alcoholic, often wilder and sometimes incredibly elegant wines can be found.